"Bring it back to the Northwest." That's our mantra here at Kay2 Paper Box. Why order product and ship it across the United States when our Manufacturing is right here in Beaverton Oregon? We've loaded this site with our list of core products, and if you need something you don't see here, give us a call. Our staff has been in the packaging, printing and fulfillment industry for 25+ years. Heck, if you have product you would like co-packed you have come to the right place. Do not hesitate to call if you would like us to quote custom folding cartons; plain or printed. 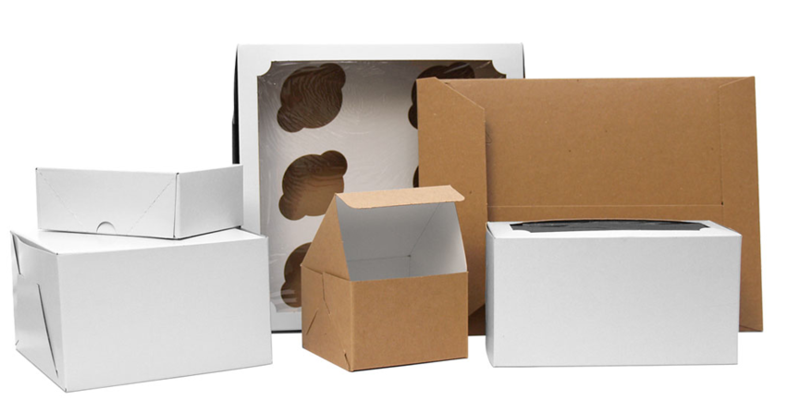 Our comprehensive line of non-printed boxes (Stock Boxes) include bakery, deli, candy, gift, apparel, letterhead, business card, kraft mailers, specialty boxes and more. You will see a small line of Eco-Friendly boxes too, and many other miscellaneous items in stock. Folding cartons are one of many products that will begin to replace Styrofoam and Plastic containers. These products are being outlawed in many counties across the nation. With your feedback we can develop paper products to replace those items; let us know what your customers want to buy. Kay2 Paper Box makes every effort to provide our customers with competitive pricing. For special deals on our products, please contact us about purchasing through one of our distributors. *Distributor pricing is shown upon login for approved distributors. Contact us for more information.